Japan's often reclusive Crown Princess Masako is scheduled to attend her first banquet at the Imperial Palace in 11 years, local media reported Tuesday. Along with other imperial family members, the princess will welcome Dutch King Willem-Alexander and Queen Maxima at a dinner on Wednesday hosted by Emperor Akihito and Empress Michiko, the Kyodo News agency reported, citing palace officials. In April 2013, the princess - who reportedly suffers from chronic depression - attended the coronation ceremony of King Willem-Alexander in Amsterdam with Crown Prince Naruhito, for her first overseas engagement in about 11 years. The prince and the princess are said to have warm relations with the Dutch royal couple, who are scheduled to visit Japan from Tuesday through Sunday. After her marriage to the prince in 1993, Masako had reportedly been under enormous pressure to produce a male heir to carry on the royal dynasty. In 2001, she gave her birth to Princess Aiko. However, a woman is not allowed to ascend to the Imperial Throne, according to the Imperial House Law. 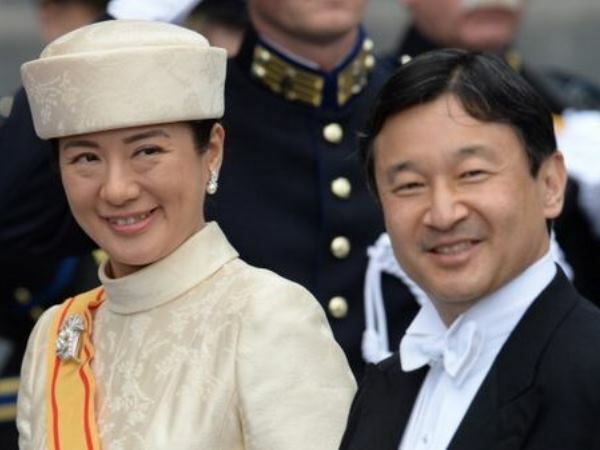 In 2006, Princess Kiko, the wife of Prince Akishino - Naruhito's younger brother - gave birth to Prince Hisahito, which solved the issue of the imperial succession.